Time is at your fingertips when you spa at Grand Geneva Resort. WELL Spa + Salon has married massage techniques with our salon specialty to bring you a new Luxury Anti-Aging Manicure and Pedicure. After a brief consultation, our trained specialists customize your service with professional serum using the latest in scientific technology ﻿to deliver lasting results you can see. After you’ve selected a Deborah Lippmann polish, relax in a soaking elixir and consult with our certified nail technicians to determine which type of luxury serum your skin would most benefit from. Our WELL Spa Signature Manicure and Pedicure includes a gentle Marshmallow whipped hand and cuticle scrub before serum application, followed by massage and nail pampering. Leave with results you can see and discover a new way to resist the effects of time with these luxurious anti-aging nail services. Does your skin need help hydrating? Are you in need of pain relief in your hands from gardening all day? Do your feet crave collagen from extra exposure? This high-grade moisturizer protects all skin types by delivering the perfect balance of hydration. 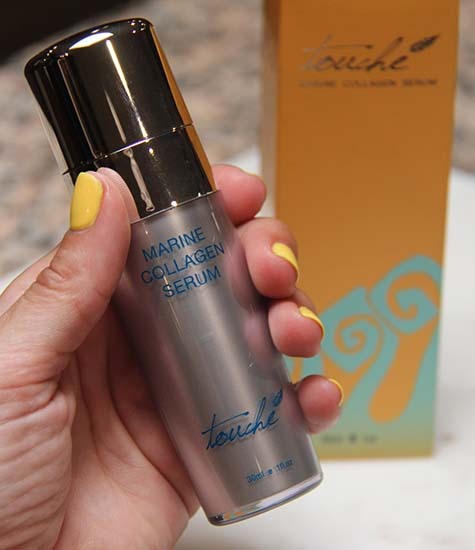 A luxurious reserve of ingredients includes a soluble collagen to fortify the skin with proteins built from amino acids. Quench and guard by reducing trans-epidermal water loss and providing non-occlusive protective barrier from the environment. To amplify the serum’s effect, we’ll cover the skin with a collagen fiber cloth and a warm towel. A carefully balanced formula that lightens and brightens even the most hyper-pigmented skin tones. Combining the latest in cutting edge ingredients with the tried and proven classics gives the maximum potency attainable without the addition of Hydroquinone. This serum effectively lightens dark spots and brightens the complexion. Chemistry and botanicals blend to safely even out skin tones on even the most sensitive skin. Skin is soothed, rejuvenated and treated to fight radicals. This serum is generated from the highest quality organic elements and scientific technology. It delivers a unique lifting and firming effect in mature skin. See the immediate effects and experience long term benefits when used consistently. A collagen fiber cloth and warm towel amplify the effects to give visible results. Herbal medicine has been used for centuries to treat health problems and manage inflammation and pain. This aloe-based serum uses a concentrated blend of herbal extracts to alleviate aches and pains from twisting or injuring muscles in the legs, arms, hands, and body. It’s ideal for athletes and active lifestyles.